Headquarters of the hotel portal provider HRS relies on the IN office chair from Wilkhahn. With its new headquarters in Coeur Cologne, the globally positioned hotel portal service provider, HRS Group, shows that it understands something of its craft. The company welcomes visitors to its headquarters located directly across from Cologne’s central railway station; both regionally and internationally acting as the city gate to this Rhine metropolis. The new building, completed in 2017 with the signature of architects meyer schmitz-morkramer, is conceived as a bright eye-catcher. The open design and the clean lines of the gridwork façade create both a dynamic as well as an exciting overall picture. The highlight is the approximately 20 metre high reception foyer, which sets itself apart as a four-storey window onto the city within the metal/glass façade. It is also the creative quintessence of the architectural design, which focuses on the interaction between inside and outside. A design statement that is also economically relevant because relationships are known to be good for the business. 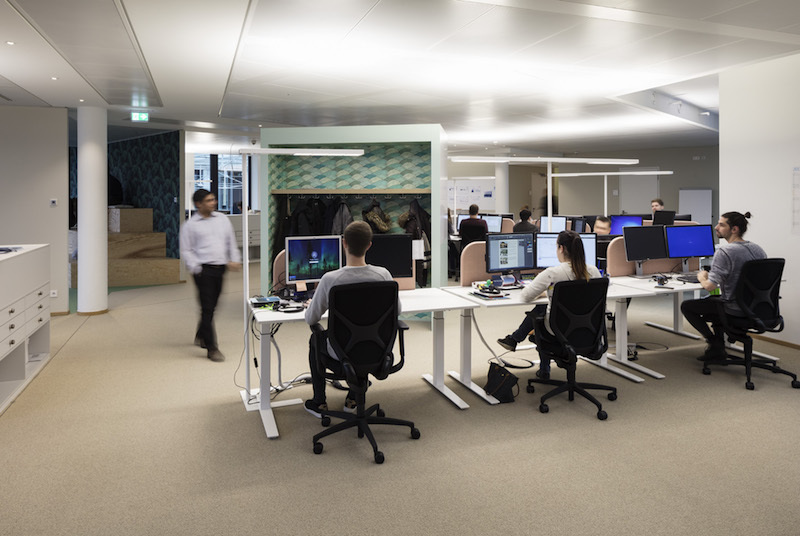 Throughout the entire six-storey building with a floor area of 14,000 square metres, the guiding principle of openness can also be seen in a metaphorical sense: Each office floor represents a different continent, which is stylistically expressed in the interior. “The World as a Guest in Cologne” is the motto of this concept, which utilises colour accents, materials, patterns and characteristic motifs. The idea and implementation are by Lepel & Lepel, the renowned Cologne architectural and interior design firm. 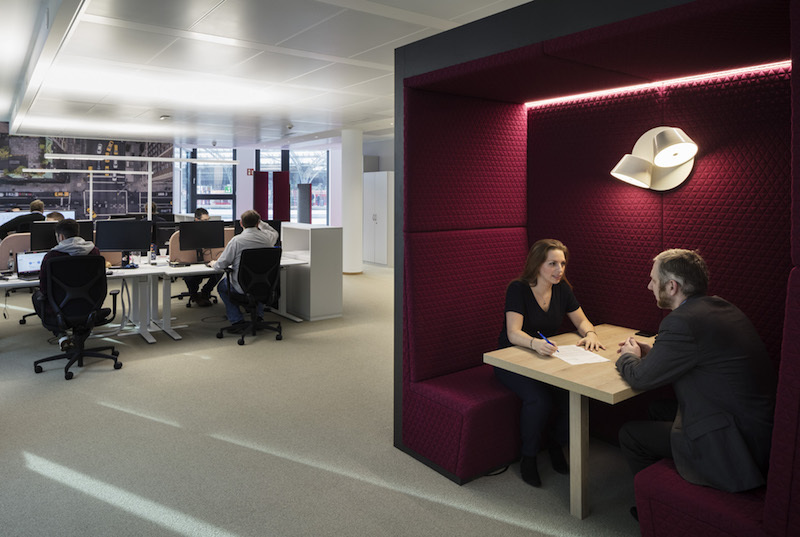 Open-space concept, telephone boxes, lounges, idea workshops, retreats for individual teams and meetings – the interior concept for the headquarters employs the entire ABCs of contemporary office design. For an international company such as the HRS Group, it is important that the implementation is based on a survey of its employees. Soft factors such as interaction or retreat were also considered in this process as well as technical equipment that is “state-of-the-art”. Virtually unrivalled in the setting of the building systems, is the perhaps unexpected “Sky Garden” on the seventh floor, with its panoramic view of neighbouring Cologne Cathedral, the Rhine and the nearby Siebengebirge mountains. But only just. For even the office workstation itself is a top competitive destination at the headquarters thanks to the IN office swivel chair: 3D dynamics, seating comfort, relaxation … in short: versatile mobility while sitting, and that is not to be sneezed at.